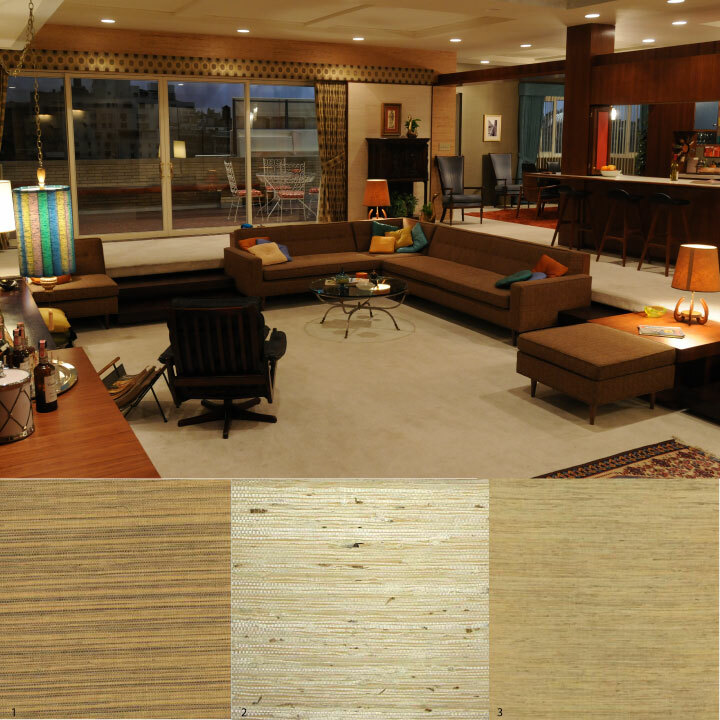 Have you ever watched an episode of Mad Men and wanted to capture the look in your own home or office? One of the ways to do that of course is with furniture. With the current popularity of Mid-Century Modern furniture that is probably one of the easier items from the sets to track down to emulate a look. However, to really get the look you need to look at the details. One of those details is the walls. 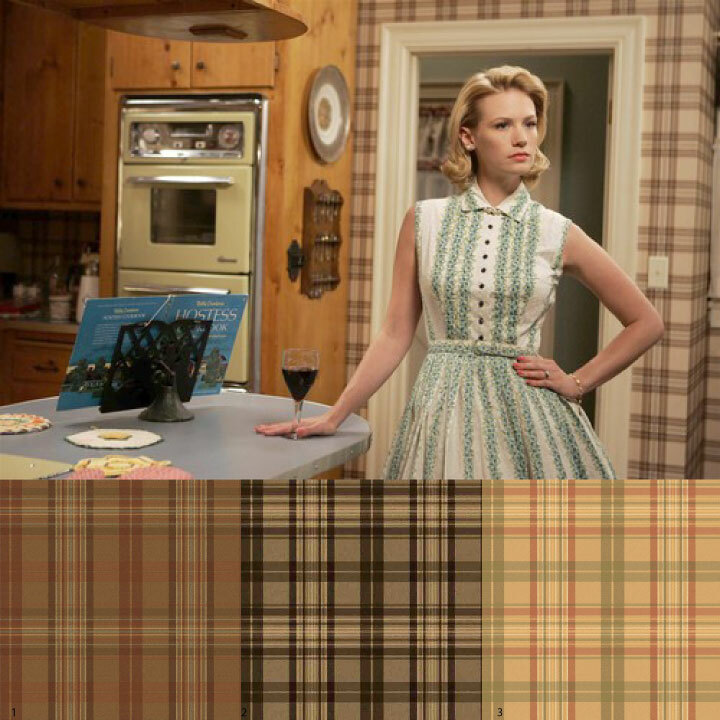 Next time you sit down to watch an episode of Mad Men really pay attention to the walls. Each space has its own unique treatment of the walls. Today we have chosen 5 of those space and found some wall covering options that you can use to get the look at home. First up is Don and Betty Draper’s Dining Room. You will notice the vintage damask wallcovering in a gold tone on the wall. 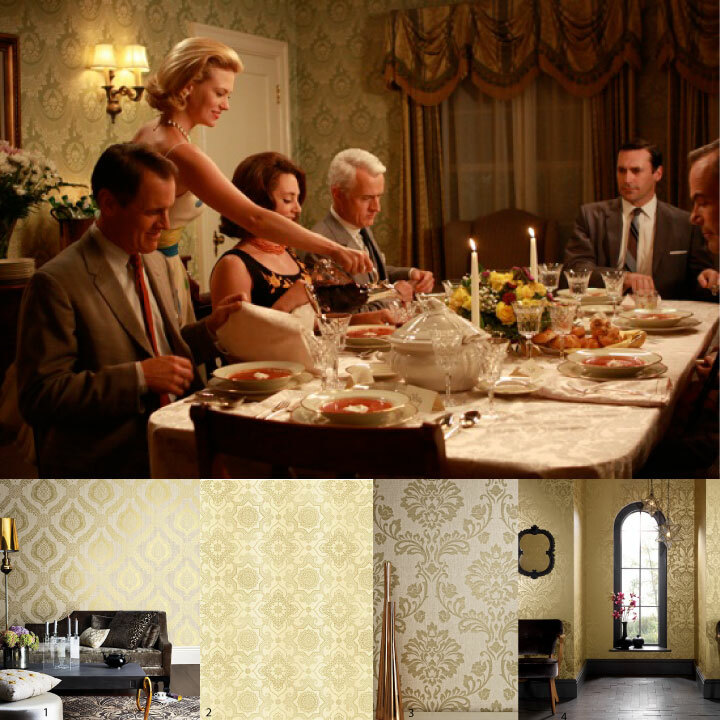 I happen to know the exact wall paper is from Astek Wallcovering as I researched this years ago. I was no longer able to find the exact pattern but here are a few others that will help you to achieve the same look. Next we have Don and Betty Draper’s Kitchen. Love the plaid on the walls and we found three options that are a perfect fit to steal this look. Next we have the apartment we all swooned over from the day we saw it, the Manhattan apartment of Don and Megan Draper. The walls of this apartment are covered with a simple grass-cloth wallcovering and we found a few options that would be perfect in your space. 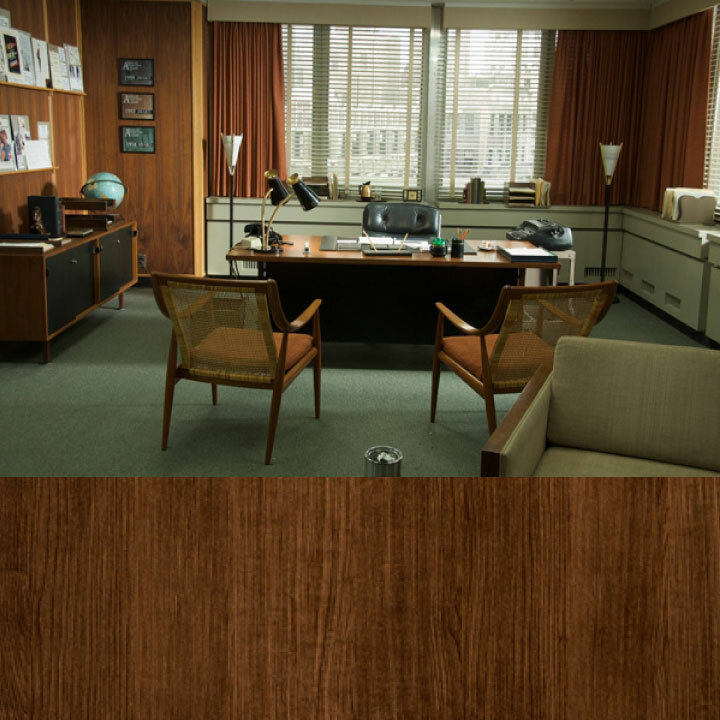 For those of you with an office or even a home office we even found a wood look option to help you achieve the wood clad walls of the Sterling Cooper Draper Price offices. 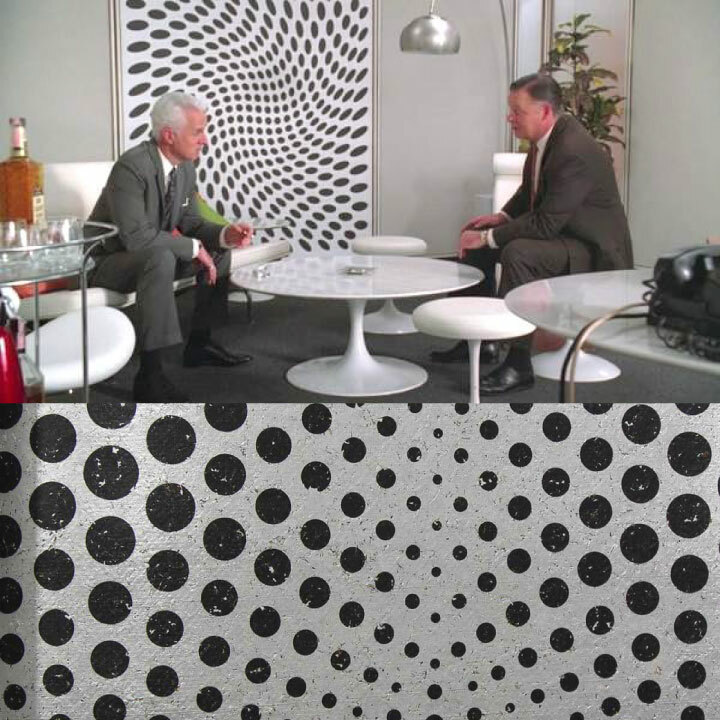 And for those of you that want a more fun look a la the office of Roger Sterling we found the perfect way to get the look of his office artwork in a wallcovering.